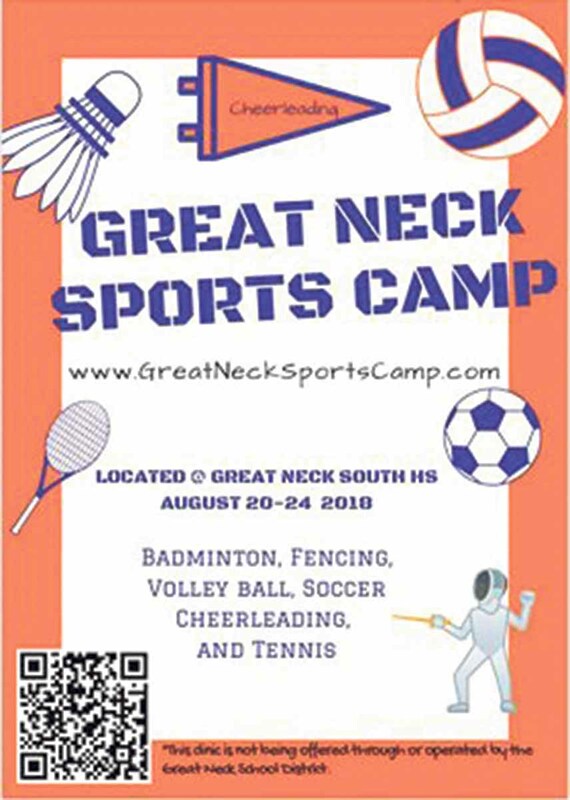 Great Neck Sports Camp will offer instruction in soccer, volleyball, fencing, badminton, tennis and cheerleading. If your children are looking for something special to do as the summer winds down, they can have fun while gaining valuable experience from top coaches at Great Neck Sports Camp from Aug. 20 to 24. 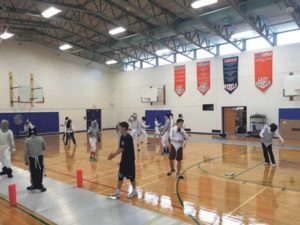 During the past three summers, Great Neck South High School Boys Varsity Fencing Coach Joshua Baravarian has had great success with his weeklong Great Neck Fencing Camp, which was operated independent of the Great Neck Public Schools. At the fencing program, the camp director and president of Nassau County Fencing Coaches Association had national and world-class fencers train his campers. This summer, Baravarian renamed the program and added five new sports. 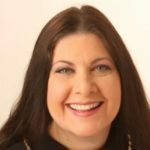 Great Neck Sports Camp will now include boys and girls soccer and volleyball; coed fencing, badminton and tennis; and girls cheerleading. 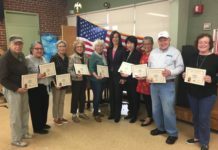 “We have geared our program toward developing basic skills, sharpening fundamentals and gaining a higher understanding of the demands of junior varsity and varsity sports, all while having fun and getting to know some of the Great Neck high school coaches,” said Baravarian, who also coaches South High’s Boys Junior Varsity Volleyball team. 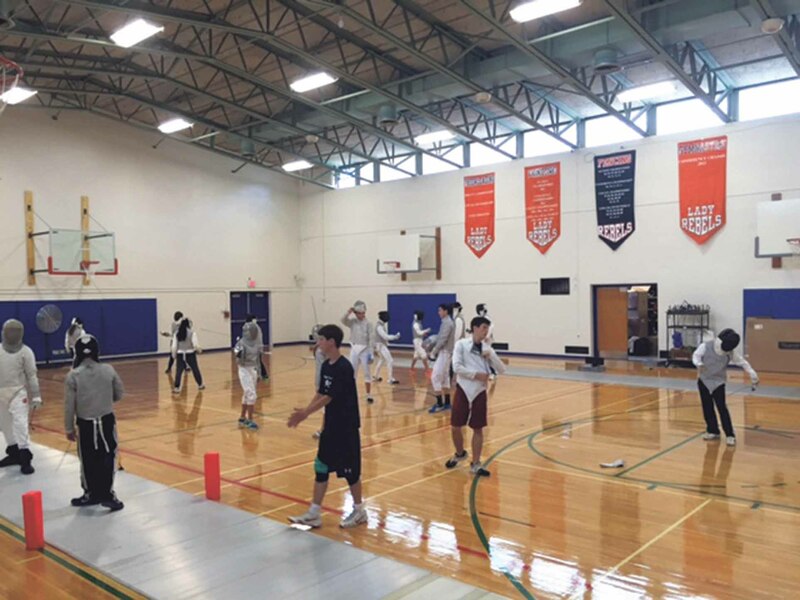 At last summer’s fencing camp, athletes were able to get in shape before their fall tryouts. Camp will be coached by district junior varsity and varsity coaches who are experts in their field and whose experience range from current high school coaches to national and Pan American champions, as well as Olympians. The program will be held on the South High campus and is open to incoming ninth through 12th graders; fencing camp is open to seventh to 12th graders. Athletes will have access to water, vending machines, locker rooms for changing and showering, as well as medical treatment for any injuries. To learn more or to sign up, visit www.greatnecksportscamp.com.